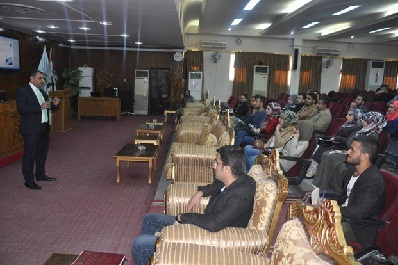 The Department of Electromechanical Engineering at the University of Technology held on Sunday, 26/11/2017, a course on writing the introduction letter, preparing the curriculum vitae and conducting job interviews for graduate students with the participation of 60 graduate students.the course was presented by Lect.Dr.Mohammed Jiwad. During the course, the graduates were made aware of the importance of writing an introduction letter for the purpose of obtaining a job and training them on how to prepare curriculum vitae and to know some of the things that should be set up in job interviews. 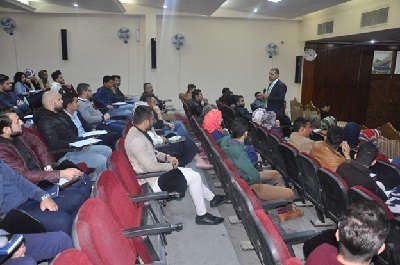 The course focused on the importance of the required competencies in the labor market and the private sector and the development of their skills through participation in those courses conducted by the graduate follow-up unit.